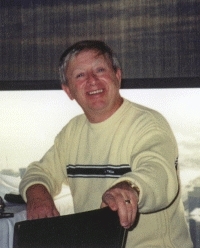 Wilson, already the author of many successful Cajun cookbooks, decided to collaborate with Hadley to write a children's book. 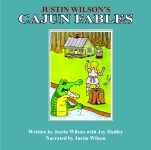 Combining several of Hadley's ideas with Wilson's trademark Cajun humor and flair, the two men produced the delightful Justin Wilson's Cajun Fables. Although Justin Wilson has since passed away, Jay fondly remembers his friend and the way he helped the famous cook prepare meals for such Louisiana notables as former governor Jimmy Davis and musician Ronnie Kole. Combine classic Mother Goose with a South Louisiana Acadian setting and the artistry of renowned Cajun humorist Justin Wilson, and the result is a captivating book that will delight children and adults of all ages. Hardcover. This Mother Goose-goes-to-the-swamp audio has authentic Cajun characters, ranging from Oyster Man and Jacques and Jill to Petite Rouge Riding Hood. This glimpse into south Louisiana’s Cajun traditions is filled with unique dialect and ongoing humor. Familiar rhymes such as “To Market,” “Pat-A-Cake” and “Little Boy Blue” are flavored with the same cultural flair.